On Sadovaya from Leontievskaya to the Lyceum are the Cavalier's Houses. Karamzin had lived in the corner house. In Lili Dehn's memoir she writes of her husband's regiment and that early in her marriage they resided in an appartment that faced the park. I had always assumed she was referring to the Catherine Park and trying to decipher maps and texts of the Sadovaya, this appears to be the only area that I can determine for the higher court regimental residences. The menage and orangerie etc take up most of the street. Has anyone any idea if I am on the right track? Have you visited these Cavalier's houses, manege or orangerie? Can you describe them? That is piece of puzzle for me as I did not know the Botkin family lived in one of the Cavilier houses! 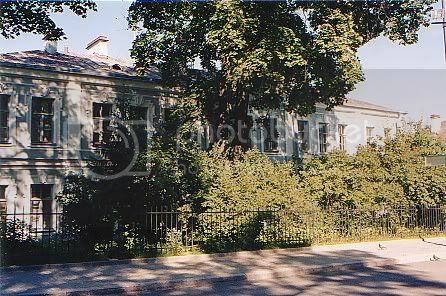 I remember Lily writing of the Anitchkov but you are right it may have been one of the regiment apartments on Dvortsovaya that the Dehns' occupied during their time in Tsarskoye Selo (was it at the time of Titi's birth and early years?). Did you visit the regiment buildings near the imperial garages? Are some still there? I´m posting these photographs for you can see how these houses look today. Also an old photo with tatiana and Gleb in the front garden. OH WOW Antonio! I am in awe of these two photographs! I wonder if the fence in front of the Cavaliers' Houses is original c1910's as it looks similar to the Yale photos. Although possibly not as iron was in short supply during the decades. And most amazing of all is that this is the first photo that I have ever seen of Tatiana and Gleb Botkin! Here you have another one taken in Tatiana´s bedroom. 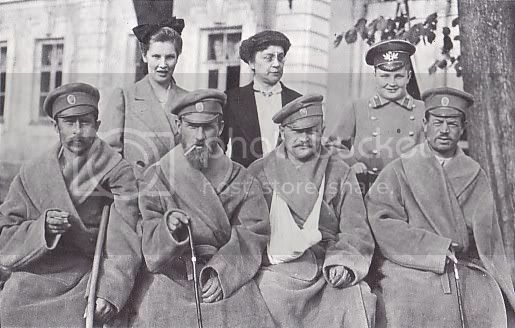 The lady to the right is her aunt Katya. 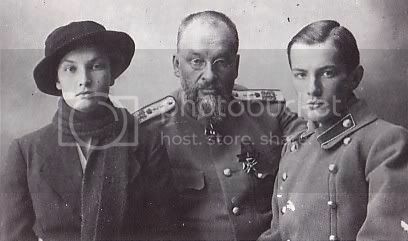 And this is the last photo of doctor Botkin, with Tatiana and Gleb, taken in Tobolsk in 1918. Antonio the photos and the deatils are aamazing - I am glad you and Joanna have started this discussion. 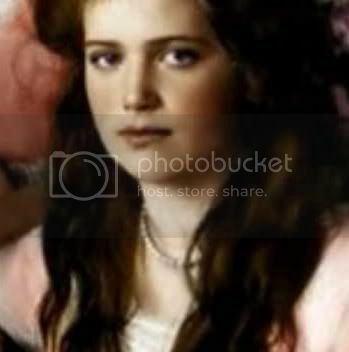 There was a pic in the Anastasia AE bio of Gleb Botkin in the 30's, and he looked like Olga Nicholaievna a lot! Of the four Kavalier Houses, at Sadovaya 12 lived the historian Nikolai Karamzin. From this article, it was bought by a private individual and is now threatened with destruction due to the removal of walls, etc. The court physician E. Botkin lived in the Kavalier House at Sadovaya 6. The entrance to the house does not face the street but in the back through the lane to the Court Stables (today the Carriage Museum). The entry is narrow and very stark with a staircase leading to various apartments. It would be interesting to know if it was remodeled after 1917 for multi family occupants or if this was how it looked during the Botkin's time.